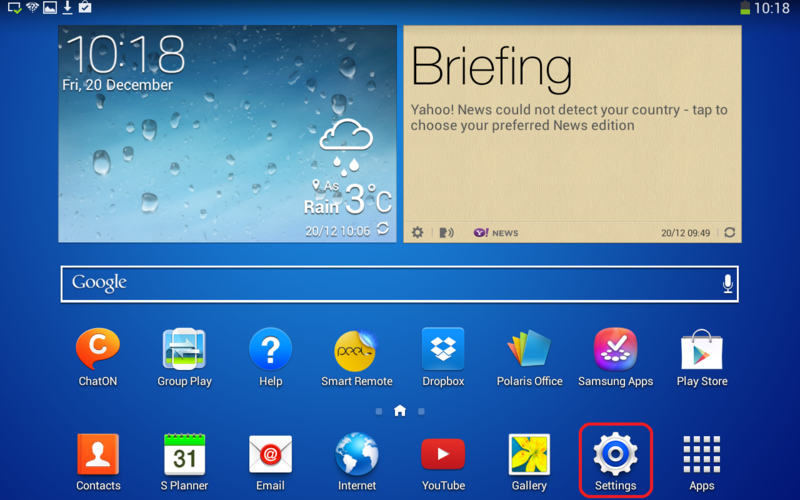 This guide applies to mobile units running on Android. The Example below is from a phone running Android 7.1. Look further below for older units. 1. 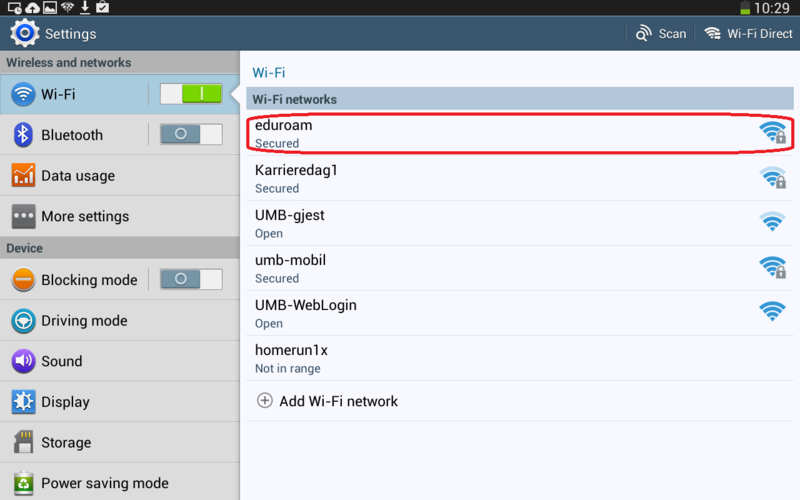 Open Wi-Fi settings and connect to eduroam. The identity is your username@nmbu.no and your personal password. 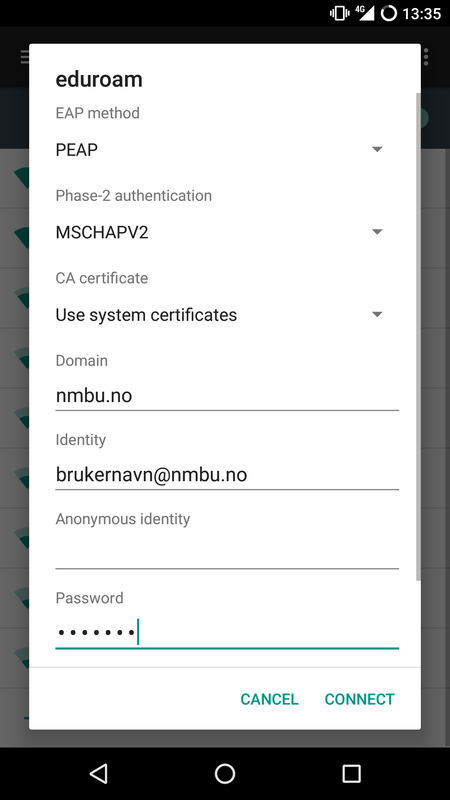 If the settings above does not work you can try adding username@nmbu.no to the field Anonymous Identity. 3. 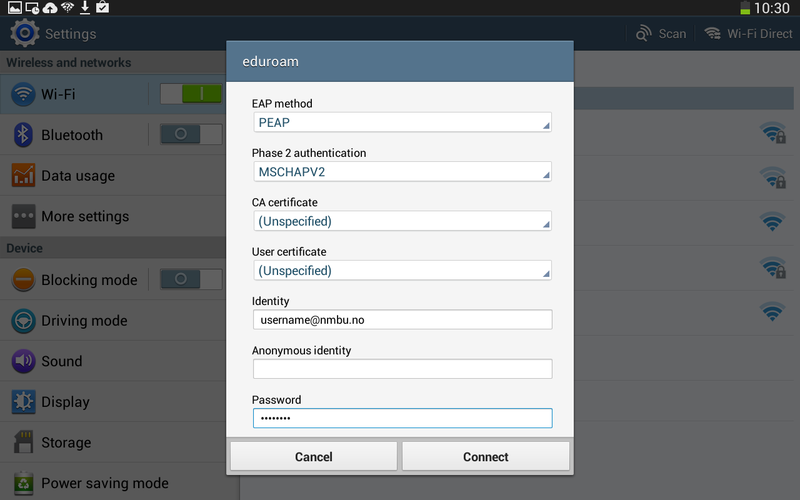 Choose PEAP under EAP method and MSCHAPV2 under Phase 2 authentication. 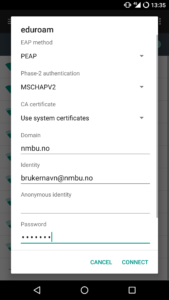 Under Identity, type your username@nmbu.no. 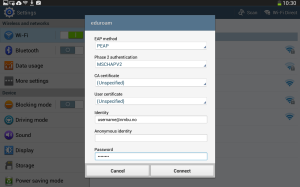 In the Password field, enter your nmbu-password. Leave the Anonymous Identity field as empty. 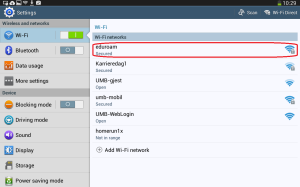 This entry was posted in IT-documentation and tagged Android, Eduroam, Wireless on December 17, 2013 by Mohammad Usman.